Enough of the warm, sun filled photos of me in Mexico, its time for the holidays!! That means, cozy warm "snuggle worthy" outfits, or dressy, beaded, sequinned outfits with lots of red lipstick. I just painted my nails red this morning, and I'm already feeling festive, which makes me extremely giddy. 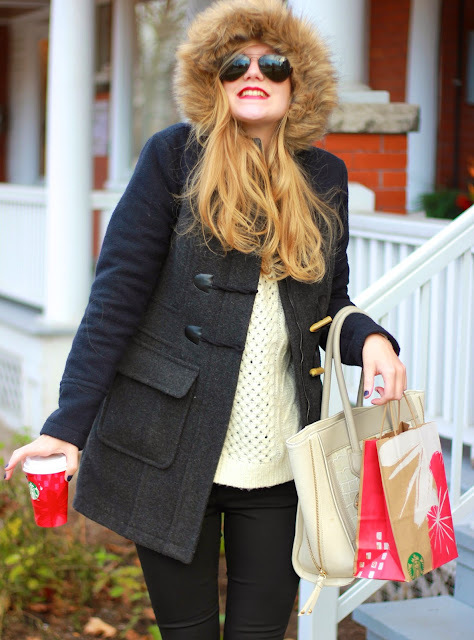 When Bootlegger asked if I wanted to take part in their blogger holiday campaign, I jumped at the chance. Not only is Bootlegger a fantastic company with great affordable pieces, but anything that is holiday themed excites me beyond. I got the chance to pick my very own "cozy" and "dressy" outfit and here is what I put together. 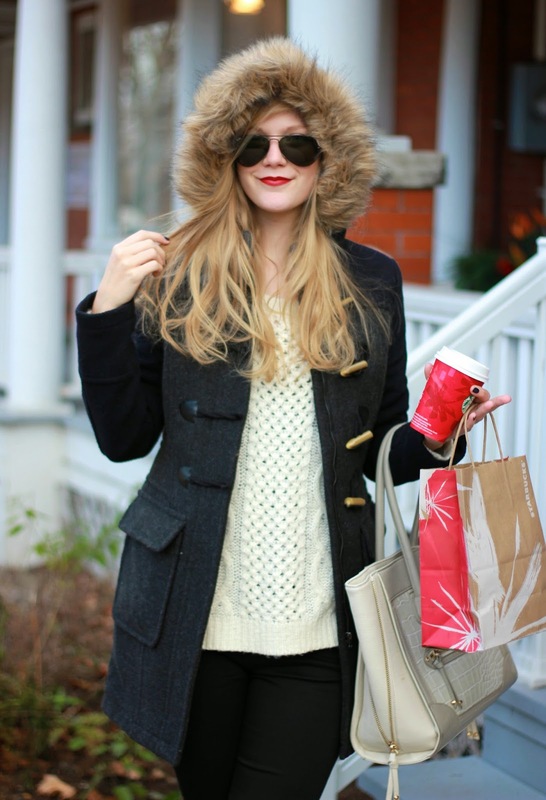 Nothing says cozy winter casual then the perfect cable knit sweater, accompanied by a warm coat. 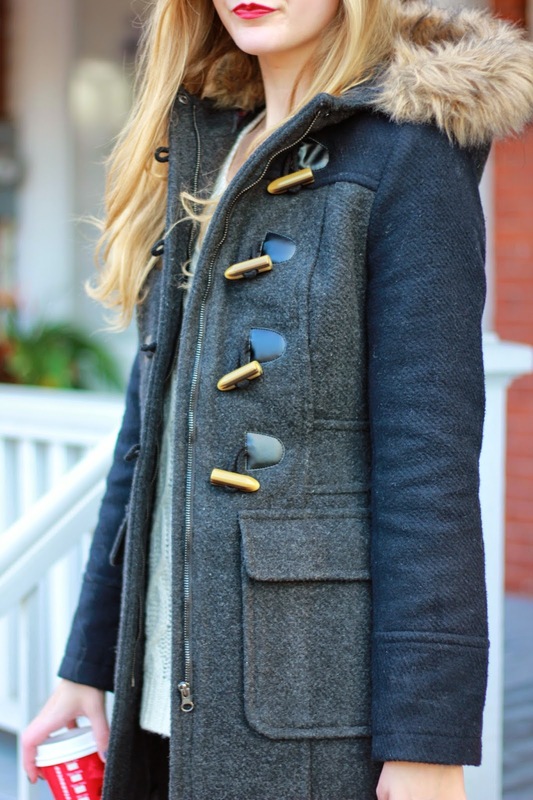 The toggles on the coat give this outfit that classic casual look, with the faux fur hood making you feel oh-so-cozy. This combination is the perfect winter wear, along with a pair of comfy black skinnies. Make sure to take part in the Bootlegger giveaway!! There's so many to choose from but since I'm looking for a new thick jacket, this bea jacket is on my wishlist! I love your blog. I'm a bootlegger fanatic as well! I would love the Bea coat!